“And if by this discipline you are not turned to me but walk contrary to me, then I also will walk contrary to you, and I myself will strike you sevenfold for your sins (Leviticus 26:23-24 ESV). The Lord is not slack concerning His promise, as some count slackness, but is longsuffering toward us, not willing that any should perish but that all should come to repentance (2 Peter 3:9 NKJV). In those days there was no king in Israel. Everyone did what was right in his own eyes (Judges 21:25). After God divided Israel into the Northern (Israel) and Southern (Judah) Kingdom's, King Solomon was succeeded by thirty-nine good and evil kings, twenty in Judah and nineteen in Israel. There were many prophets that God sent to turn the people from evil. One of them was the Prophet Joel. The chronology of Joel is not apparent by reading the Book of Joel, as the book makes no reference to any of the good or evil kings. By reading Joel 3:1-21 though, we know that he was preaching to the Kingdom of Judah. When God said "turn to me" in Joel 2:12-13 NKJV, He was telling them to repent. The Prophet Jeremiah used this language as well - Jeremiah 24:7. Did Judah repent, turning to God, with their whole heart? If Joel was preaching to King Josiah, the answer would be yes because Josiah destroyed idol worship in the land (see Good and Evil Kings). In the end though, the Babylonians conquered Judah and took them into captivity. 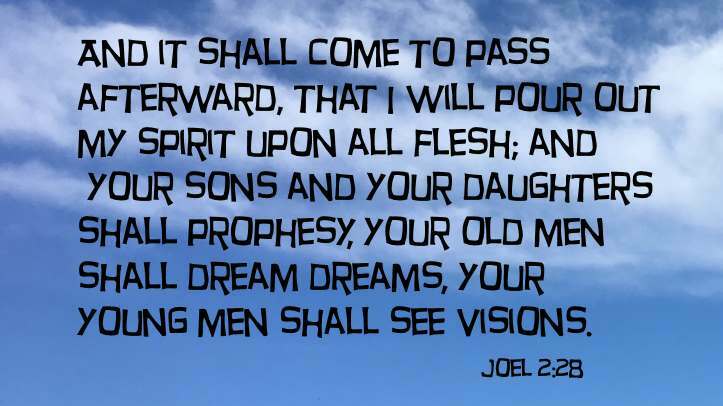 But this is that which was spoken by the prophet Joel; And it shall come to pass in the last days, saith God, I will pour out of my Spirit upon all flesh: and your sons and your daughters shall prophesy, and your young men shall see visions, and your old men shall dream dreams: And on my servants and on my handmaidens I will pour out in those days of my Spirit; and they shall prophesy (Acts 2:16-18). 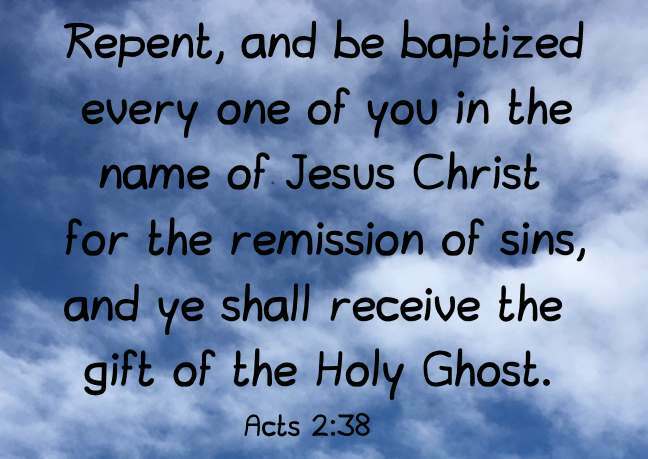 Repent, and be baptized every one of you in the name of Jesus Christ for the remission of sins, and ye shall receive the gift of the Holy Ghost (Acts 2:38). 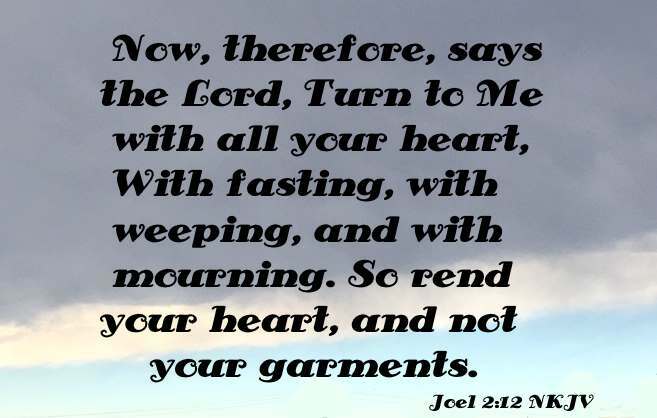 the first part (death): "repent" is the same as the "turn to me" message that Joel preached. The difference now though is that God revealed Himself as Jesus Christ (2 Timothy 3:16, John 1:1, 14) and He is who we must turn to now. the second part (burial): "baptism in the name of Jesus Christ" is for "everyone". This means "all" of us, not some, or many or most, but all must be baptized in Jesus' name for their sins to be remitted (forgiven). the third part (resurrection): "you shall receive the gift of the Holy Ghost", you shall receive means to "receive what is given, to gain, obtain, to get back". Three thousand Jews (Acts 2:41) received Peter's message the day of Pentecost, including the one-hundred and twenty ( Mary, the mother of Jesus was there as well - Acts 1:14) in the initial outpouring of the Holy Ghost in the Upper Room. Many more Jews were added to Christ's flock over the first century A.D., but ultimately the Jews as a whole did not turn to the one and only God, Jesus Christ. 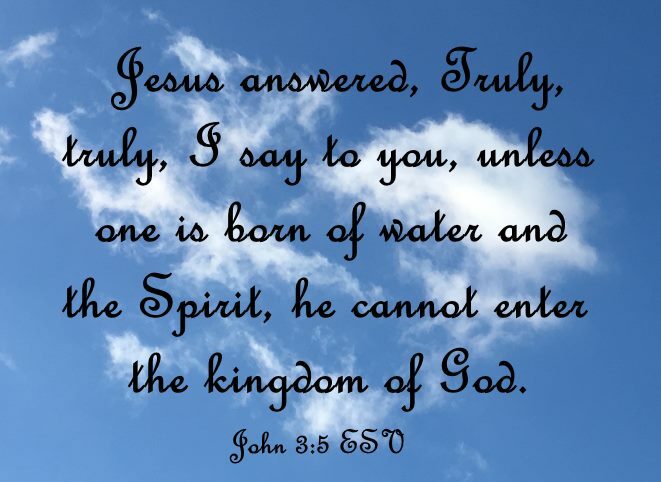 Jesus answered, Truly, truly, I say to you, unless one is born of water and the Spirit, he cannot enter the kingdom of God (John 3:5 ESV). Take heed! God is still crying out "turn to me". If you have not been baptized in the name of Jesus Christ and have not received the gift of the Holy Ghost, speaking in tongues as the Spirit gives utterance (Acts 2:4, Mark 16:17), I hope and pray, in Jesus' name, that you find yourself a church where the Gospel of Jesus Christ is preached. Please use the Church Directory to find such a church.